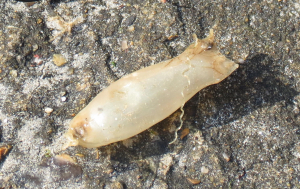 Observation - Catshark egg capsule - UK and Ireland. Description: Planty of these too on the promenade, looks like a good crop of youngsters off the coast here. Planty of these too on the promenade, looks like a good crop of youngsters off the coast here.